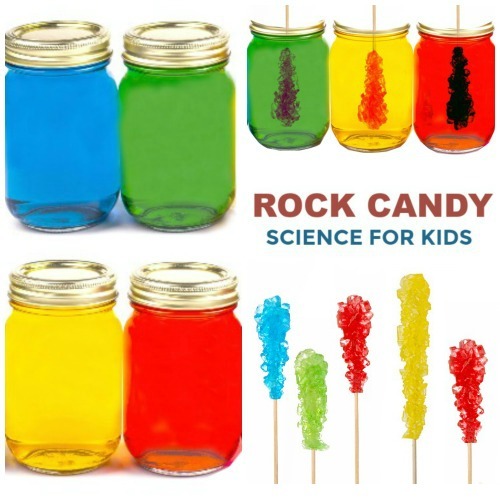 Making rock candy is a really fun activity for kids that doubles as a great lesson in science. 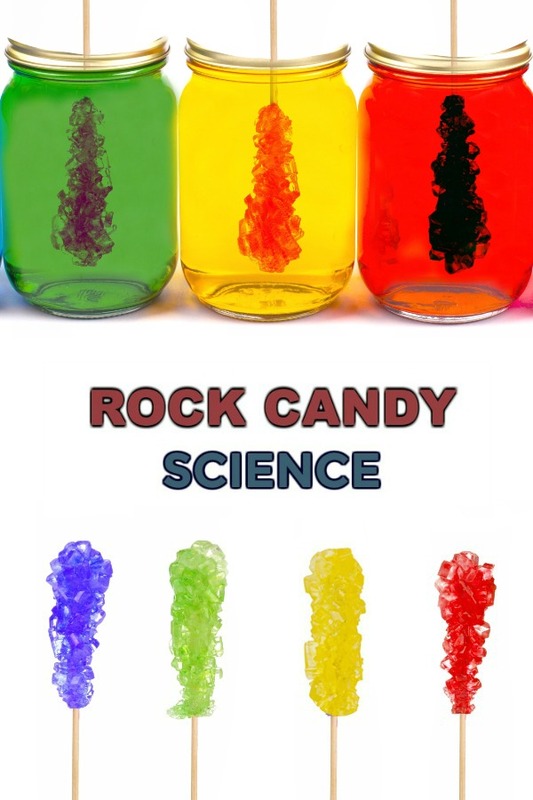 We have tried the rock candy experiment before, but this time we wanted to see if we could grow rock candy using Kool-aid! 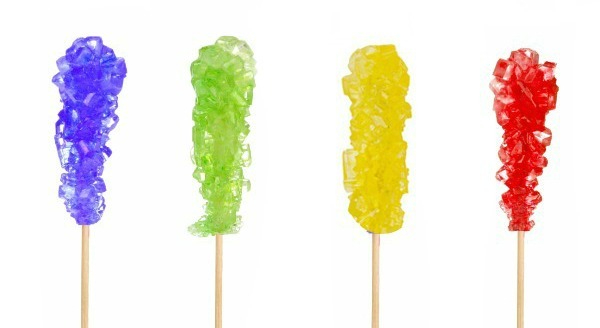 Do you think you can make rock candy from Kool-aid? That is the question that I posed to my girls this morning. After careful consideration both girls made their predictions, and then we jumped right in to the fun! So, do you think we were successful? Begin by soaking bamboo skewers in a container of water. Leave them to soak for at least one hour. 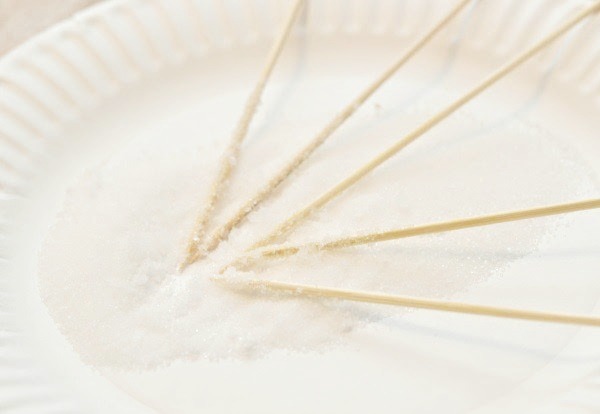 Remove the skewers from the water, and then coat the bottom half in sugar. Set the skewers aside and allow them to fully dry. Begin by pouring 4 cups of water into a large pot. Then, place it over medium heat. As the water heats slowly add white sugar 1 cup at a time and stir until dissolved. 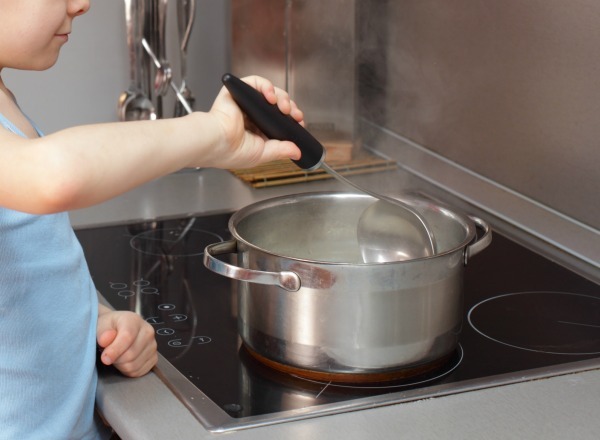 Once this occurs bring the mixture to a boil and then allow the mixture to boil slowly for 10 minutes. 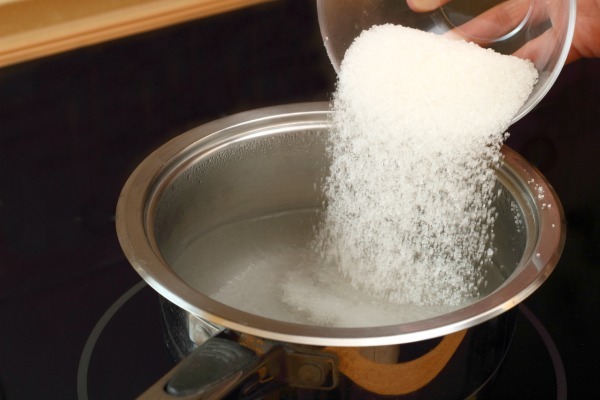 Remove the pot from heat and allow the sugar mixture to cool for 10-15 minutes. 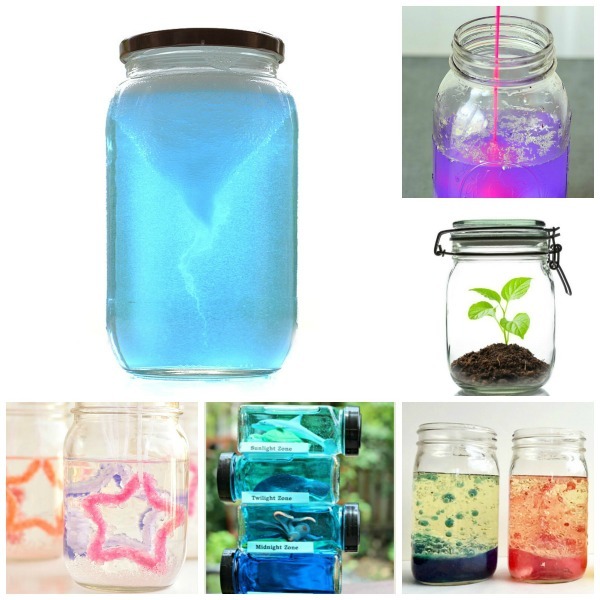 While the water is cooling you can prepare your glass jars. 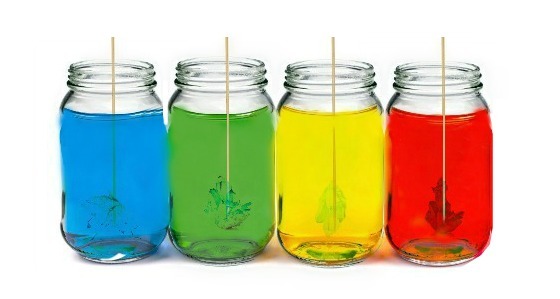 Pour one packet of Kool-aid into each jar, using one jar for each color/flavor of rock candy that you wish to make. Then, pour the sugar-water into the jars and stir each one until the Kool-aid is dissolved in the water. 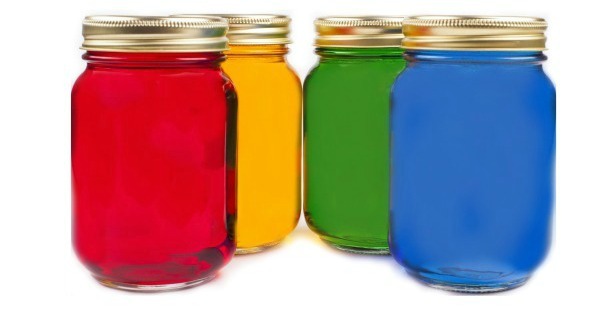 If you are using jars with lids you can place the lids on the jars and shake them to help get everything mixed. Now, take a break, and wait for the glasses of sugar-water to cool to room temperature. This part is very important!! Once the water is cool it is time to submerge the bamboo sticks into the jars. 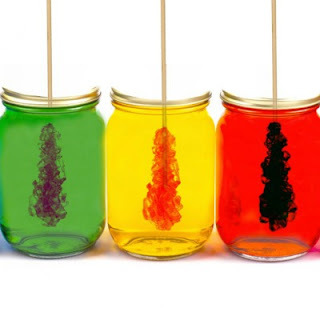 Note: If you place the skewers into the jars too soon the heat from the water will dissolve the sugar on the stick, and the experiment will not work. 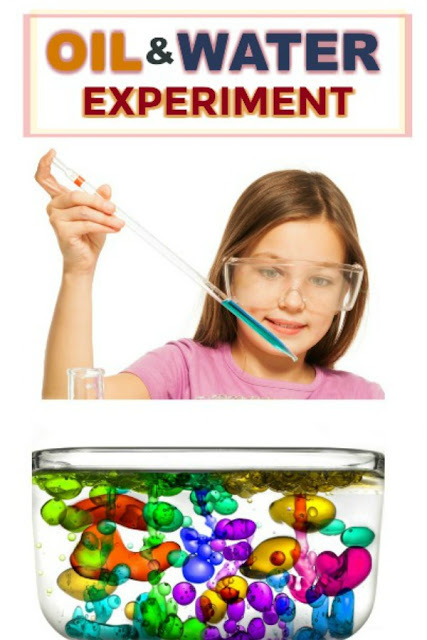 Also be sure that the sticks are NOT touching the bottoms or sides of the jars. This is very important! Now, we wait. 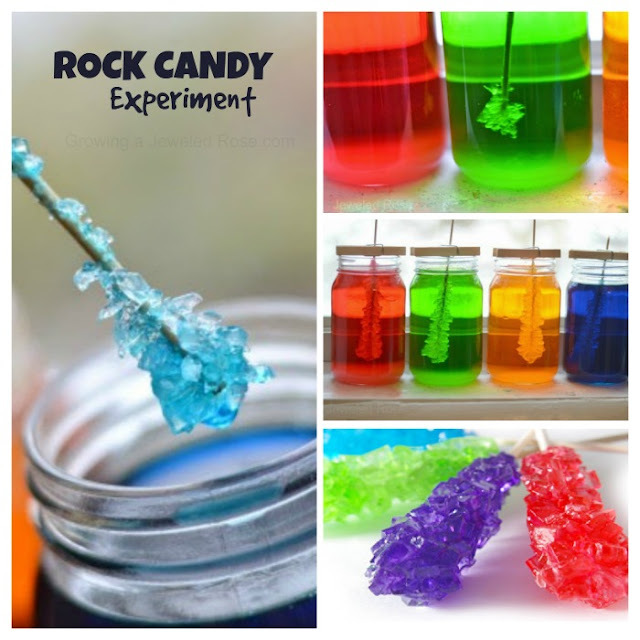 It will take roughly two weeks for your rock candy to fully form. My kids loved checking on their jars each day and couldn't wait for the candy to be ready to eat! Here is what our jars looked like after 5 days. And after two weeks we could have opened a candy shop! Pretty amazing, right? My kids thought so, and after (slightly) patiently waiting they could not wait to dive in and taste this yummy treat that they made themselves!! So cool!! It was quite delicious, too! 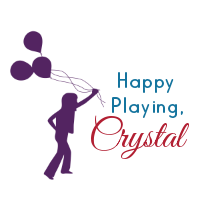 Rock Candy: What's Going On?